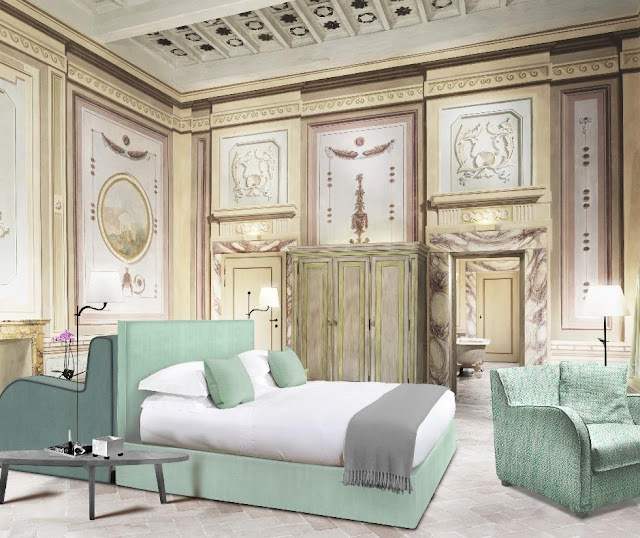 COMO Hotels and Resorts — the award-winning, family-owned hotel group, offering luxury travel experiences in 14 locations around the world — is delighted to announce the opening of a new hotel in Tuscany. COMO Castello Del Nero, Tuscany, is an exceptional 740-acre, historic estate in the world-famous Chianti wine region of Italy. The Renaissance cities of Florence and Siena are both within a 30-minute drive. At the property’s heart stands a twelfth-century castle featuring 50 rooms and suites with new interiors by Milanese designer, Paola Navone. This is a significant addition to the COMO Group, not least because it is the first COMO hotel to open on continental Europe. It fulfils an important ambition for the founder, Mrs Christina Ong, who has always cultivated a strong allegiance to Italy. During the 1990s, Christina Ong’s career in fashion as the founder of Club 21, forged some of the most influential alliances in the luxury fashion industry between leading Italian design houses, such as Armani, and global retail markets. She brought Prada and Bulgari to London and Asia. Her high-profile promotion of Italy on the world stage led to significant recognition; in 1995, she was awarded the Cavaliere del Lavoro by the state. Time spent in Italy’s fashion cities fed her growing interest in Italian architecture, interior design and cuisine. In the 1990s, she brought the Milanese, Michelin-star-winning chef, Gualtiero Marchesi to COMO’s first London hotel, COMO The Halkin, and Laboratorio Associate, who were the architects for Gianni Versace, among others. All the owner’s creations for COMO Hotels and Resorts since have included Italian-influenced COMO restaurants, such as Uma Cucina in Bali, and La Sirena in Thailand. Collaborations with Milan-based design studios Laboratorio Associati and Studio Otto are still responsible for many of COMO’s interiors. 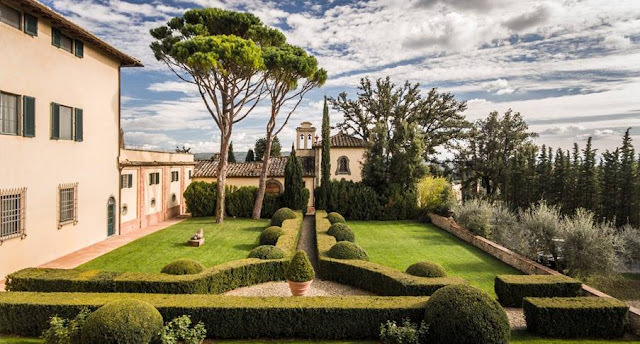 It was in 2007, when Christina Ong stayed at Castello Del Nero for a private, family holiday that a connection with this special Tuscan property was formed. The Castello had been functioning as a private estate for centuries. In 2006, the Italian Trotta family turned it into a hotel; in 2018, the COMO Group bought the entire estate. 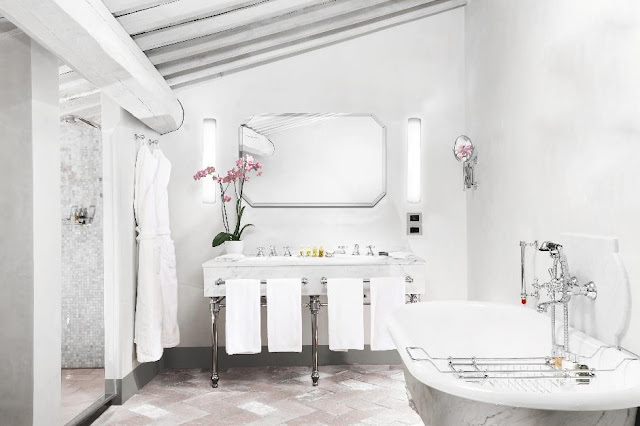 Working with Navone, COMO Hotels and Resorts have softly adjusted the spa and culinary offerings to create a serene, contemporary retreat that makes you feel at home, with precise service, therapeutic wellness experiences, and exceptional, carefully sourced food. There is a generosity to every COMO experience, and this is no exception — in the way COMO Castello Del Nero opens up the wider destination, from hikes to carefully guided cultural excursions. While the Castello’s historic terracotta flooring, fresco walls and vaulted ceilings remain untouched, Navone has introduced a lighter, more modern ‘COMO’ aesthetic, to complement and enhance the period bones of the castello without losing any of the deeply authentic historic texture. The Michelin-starred La Torre restaurant is located in the original stables of the castle in the winter, transferring to the garden terrace in summer. All menus are overseen by Executive Chef, Giovanni Luca Di Pirro. Consistent to the COMO philosophy of only using the finest produce, La Torre is no exception. Menus showcase gourmet Italian cuisine, using the finest Tuscan produce, much from the estate’s kitchen-garden. The estate has its own vineyard, bee hives and olive groves. COMO’s approach to the provenance of ingredients remains critical to the brand’s founding philosophy. Here in Italy, it is literally ‘farm to table’, with the garden carefully overseen by Di Pirro. COMO Castello Del Nero also features two informal restaurants: La Taverna and during the summer months, the Pavilion, where families will feel as relaxed and welcome as they are in all COMO properties worldwide. The Pavilion offers Mediterranean-inspired cuisine and COMO signature dishes, while traditional Italian dishes, including many Tuscan favourites, feature on the menu at La Taverna. The wine cellar’s architecture might date back to the twelfth century, but the hotel’s COMO mixologists are ready to give every drink a modern twist, from Martinis to Prosecco cocktails. In addition, there are tennis courts, a heated outdoor swimming pool as well as a COMO Shambhala Retreat. This is where guests will feel healed and inspired by the deep expertise for which COMO Shambhala is known, including complimentary morning yoga, and significant, therapeutic massages. In Tuscany, COMO Shambhala will complement Italy’s long spa heritage with a comprehensive treatment offering — appealing to men, women and guests on extended wellness-focused stays.